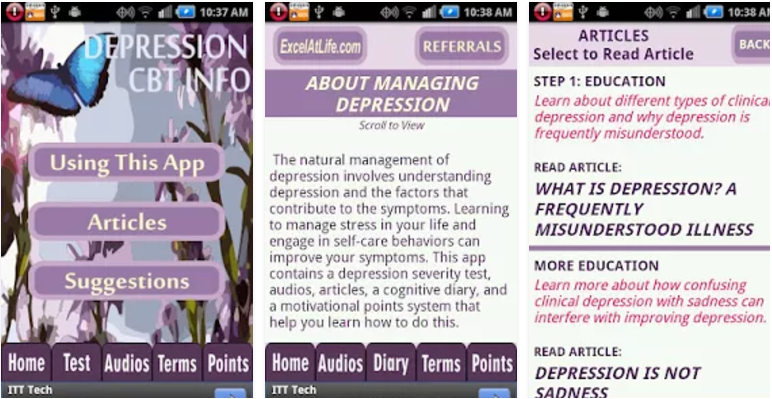 The developers state that the program can help “understanding depression and the factors that contribute to the symptoms. Learning to manage stress in your life and engage in self-care behaviors can improve your symptoms and your mood. “ (Accessed Google Play, June 23 2017). We do not further describe the program due to the score it received in our reviewing process.